SEO is a bit of an odd duck in the total mix of online (marketing) disciplines. On the one hand it’s a very techy, ‘hard’ discipline that requires a lot of skill and expertise in a wide range of fields. On the other hand, it’s probably one of the more difficult online disciplines to quantify. Web developers, for example, have a finished product they deliver: a working website built according to the customer’s spec. Email marketers too have very clear deliverables: open-rates, click-through rates, spam reports, delivered emails – all these are very solid metrics that an email marketer can influence and report, and they tend to correlate to a financial ROI somewhere down the line. Conversion rate optimisers have it even easier: their whole job is to map out the ROI-funnel of a website and to make it work better. And many social media marketers are as of yet still wallowing in the fuzziness of old-school, offline marketing – they get away with meaningless lingo-speak like ‘customer engagement’ and ‘brand building’. In other words, ROI isn’t (yet) a big part of the SMO business. 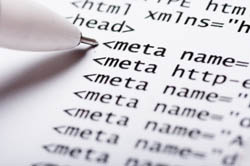 Search engine optimisers, however, are stuck in a tough middle ground. What we as SEOs do is very quantifiable: we generate lists of relevant keywords, we perform on-site optimisation that we can easily show to clients, and we generate new links that (generally speaking) we’re also able to report. However, none of those things are easily attributable to a return on investment. Between what an SEO does and what SEO delivers are intermediate steps over which we have very little, if any, control. Keyword rankings, for one, are highly volatile and an increasingly unreliable metric. Where in days gone by ranking reports were often the chosen method of determining SEO success, this is no longer the case for a host of reasons. There is still a place for keyword rankings to be reported to a client, but that comes amidst a cloud of context and disclaimers. Conversions are another metric we’d like to be able to report as a measure of SEO success, but often a search engine optimiser has no control over the conversion funnel and thus no control over the actual conversion rate of a website. As a result I personally only feel comfortable reporting on conversions as an SEO metric if I also have complete control over the customer’s website and thus can fine-tune the conversion funnel to match my SEO efforts. This is rarely the case. So what do we use as measures of our SEO efforts? Some new metrics have come to the front in recent years, such as traffic share: the amount of search traffic a site captures on a given keyword as a percentage of all potential search traffic on that keyword. The problem with traffic share is that it requires a fairly accurate indication of what the actual search volume on a given keyword is. And that is a number that seems very difficult to get reliable information on. Another metric is the amount of search traffic a site receives, both as an absolute number and as a percentage of total site traffic. But again there are issues with this metric. For one search traffic can be susceptible to significant fluctuations. Say you’re working on a set of 10 keywords and are steadily improving a site’s visibility in Google for those, when suddenly 20 other keywords drop out of the first few SERPs entirely, perhaps because a competitor is ramping up their SEO efforts on those. The logical step is to focus your search traffic metric on the keywords you’re targeting, but even that has a caveat: often when you’re working on improving a site’s visibility on one keyword (for example ‘jobs in belfast’) you end up with a much higher visibility boost on a different but related keyword (like ‘vacancies in belfast’). Do you take credit for that increased visibility on the related keyword? If so, can you be sure that this increase can be maintained? Is it even a relevant keyword for the site you’re optimising? 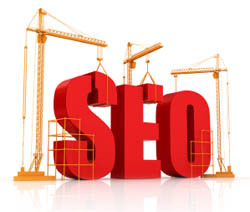 We all know that SEO is an immensely powerful online marketing discipline with one of the highest ROIs. And usually we don’t have much trouble keeping existing customers that we’ve delivered the goods for, as they’ve already experienced the power of a well-executed SEO campaign. We should be able to talk these customers in to increasing their SEO spend, as per Neil Walker’s excellent SEO forecasting model. Our challenge lies in capturing new customers that may perhaps be sceptical about what SEO can do for them, especially as they’re often bombarded by horrendously misguided ‘SEO is dead‘ drivel written by ill-informed imbeciles. Somehow we need to convince potential clients that investing in SEO – specifically our SEO – is worthwhile. And in the absence of easily quantified metrics that we can report to clients on a weekly or monthly basis, that means we often have to rely on showcasing previous successes. Which works well for those of us who have been in the industry for a while, but can be terribly difficult for new players. I have no solutions in this blog post, only questions. I’m not going to ask you to share your secret formula for winning new clients, but I would like to ask you what you report to your clients. Is it keyword rankings? Search traffic? Conversions? What are you comfortable with taking ownership of, and where do you draw the line? Discussion: What does a monitoring tool really need? Barry, kind of a chicken and egg scenario. KPI’s vary by site so raw SE traffic is a perfect metric for a site who sells display ads. I treat every site as unique and generally it tells me the KPI as I review the biz model and sales/margins. Would be nice if such control were present more often. More traffic (we’re doing the job well), combined with either lousy conversion or poor response to inquiries, often means the client thinks we’re doing a poor job. Ah, well… in a perfect world, right? I always attempt to make the client understand at the outset that the success of a campaign is dependent upon collaborative effort, and I explain how more traffic can actually look like failure, if one link in the chain is weak. At least then, it’s no surprise if conversion, or even sales, drop off. Unfortunately, my clients rarely seem to remember that part of our chat. Well said Barry. This is an issue that I have observed from both sides of the table-the client’s side and the agency. The clients want to be able to prove a measurable boost in ROI whereas agencies speak the language of the metrics/benchmarks that you mentioned above. While I do not advocate that agencies should adopt 100% performance based models (because the sheer amount of time, resources, and expertise required to run an effective SEO campaign would make this prohibitive); somehow I have to think that in the long run we will see the industry move towards a system that places greater value on ROI. Again what a terrific piece. I’ll definitely second Doc on that! Take care. @Terry: yes agreed every site is unique and needs to be approached differently. Unfortunately often a client wants some sort of guarantee before they will hire you to actually work on their site, and that’s the hard part. @Doc: ‘collaborative effort’, that’s a good one, will have to remember that. 🙂 And yes it’s a very rare client that has mapped out their own conversion funnel in GA or another web analytics tool, which makes our jobs all the harder. @Jordan: trust me, I often envy the relative ‘simplicity’ of PPC – though I’m not saying PPC is simple, it has its own challenges and skillset but it’s usually easier to prove ROI. @Benin: Thanks for the kind words, and yes some sort of performance-based compensation for SEO agencies would help with the industry’s credibility and maturity. But as it is so very hard to guarantee ROI for SEO, some sort of hybrid model is probably the way to go for now. No surprise we use for our clients the metric ‘traffic share’ http://www.seoeffect.com/demo-and-specs/monitor-seo-trends.php you mentioned in the post. Clients have to get used to it. It helps to calculate potential extra traffic. But it also gives problems: clients are used to SERPS. And how to measure the performance of keywords that don’t have traffic and so no ‘traffic share’ at all? There the old SERPS can help to see your site climbs from position 40 to 20 before its gets some ‘traffic share’. Any SEO or SEO agency worth their salt should be constantly seeking to show ROI from their campaigns and if their clients do not have the relevant tracking solutions in place, then the burden of responsibility is on the individual or agency to get the implemented. In every campaign I’ve created, managed or been involved with ROI is on the agenda from day one.